That is a pretty brave claim to say this is the best email marketing services list on the planet! If you think not, please point out another. Included here are free email marketing service options along with options for large volume companies. I threw in a few fun email tools to keep it interesting. Never again say, "What are the options to send customers email?" Or, "What email management systems are out there?" At last count, there was 138. At least 10 are free. This list also includes my favorite tool: HubSpot. Once you see a demo of the all-in-one online marketing sofware system, you won't need to investigate this very long list of email marketing services. In the list below, you will find email services for forums, lead management, and events trickled in to keep in touch with the variety of options. The descriptions are borrowed from their own websites... in their own words. 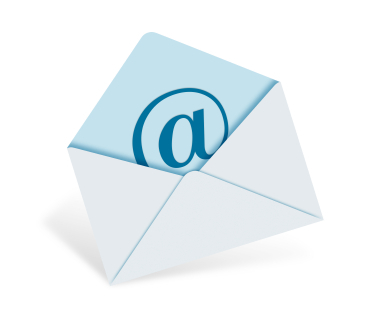 The list for email services is alphabetized and includes software and online services options. Active Campaign http://www.activecampaign.com/email-marketing ActiveCampaign email marketing software is the leading web based email marketing software for creating, managing, and extending your email marketing & auto responder campaigns. Software. No monthly fees. Price starts at $349. Act-On Software https://www.act-on.com The Act-On service provides an integrated platform that combines e-mail with behavioral segmentation (for better audience targeting), easy-to-build forms and landing pages (for creating relevant destination content), website visitor monitoring (for gauging campaign effectiveness) and automation. Monthly online service. Price not shown. AdMail.net http://www.admail.net/ Admail.net is a set of online email tools, suitable for any size list: List Builder™ simplifies list management and maintenance; Email Builder™ helps you create, deploy, and target your email; AccuTrak™ tracks results and generates reports on your campaign. Monthly online starts at $7.95. Blue Hornet http://www.bluehornet.com/site/ eMS Commerce Optimizer delivers the advanced interactive marketing technology and strategic guidance retail marketers need to sell more online. Create integrated marketing strategies and use triggered programs to deploy campaigns that increase in relevance and generate sales throughout the customer lifecycle. Contact for email solution demo and quote. Briefyourmarket http://briefyourmarket.com In simple terms, BYM gives you the power to send ‘Intelligent Newsletters' which are tailored to the specific interests of your clients - helping you build stronger relationships with your audience. Monthly online service. Rate not shown. Bronto http://bronto.com Bronto offers the choices to accommodate the small business or enterprise-level email marketer. We know that everyone's needs are different and, with that in mind, have developed a powerful solution for each edition. Monthly online service. Price done by quote based on annual volume. Buzz Builder Pro http://www.buzzbuilderpro.com Unavailable at the time of this study. Campaigner http://www.campaigner.com Campaigner enables organizations to have highly personalized one-to-one email dialogues with their customers, measure how they respond, and analyze those responses to interact in a more intelligent, automated way. It includes all the features necessary to send professional newsletters, grow opt-in lists, and improve permission-based marketing results. Campaigner includes automatic CAN-SPAM compliance, and on demand online access for a low monthly fee. Monthly online service, Starts at $10. CheetahMail by Experian http://www.cheetahmail.com With the largest account management and professional services teams in the industry, Experian CheetahMail assists clients through every stage of their marketing programs. Experian CheetahMail's flexible account management options and comprehensive suite of professional services enable clients to easily customize the service level that best suits their needs, which range from full-service to collaborative to self-service. Contact for quote. Comm100 http://emailmarketing.comm100.com Comm100 is a global provider of enterprise-level customer service and communication solutions. Simply powerful, their products give you power to communicate effectively with your customers through multiple channels and get improved returns. Non-profit discounts available. Comm100 also has live chat services available. Starts at $9.95 per month. Communicator Corporation http://www.communicatorcorp.com Communicator Corp is a global industry leader in enterprise email management from email marketing to transactional receipts and CRM integration, with strategy and expertise to help clients return value from all digital communications. Contact for quote. Constant Contact http://www.constantcontact.com Constant Contact's leading email marketing2, online survey3 and event marketing4 tools-supported by its expert personal coaching and support-help all types of small businesses and organizations create professional-looking email newsletters and insightful online surveys and begin a dialog with their customers. Today, more than 300,000 customers worldwide trust Constant Contact to help them connect with their audience. Monthly online service. Starts at $15. ContactLab http://www.contactlab.com is the innovative technological platform as a multi-channel management for direct and relationship marketing conveyed through digital communication channels (e-mail, SMS, MMS, fax). Contact for quote. ConvertKit https://convertkit.com ConvertKit is tuned in to professional bloggers. ConvertKit is built by bloggers, for bloggers. With your unique needs in mind, they have created a tool that gives you the power to earn more from your email list while keeping the human element in something as personal as email. I have a special appreciation for "personalization" and consider this a good option if you are a blogger. All plans include "unlimited": Forms, Courses, Landing Pages, Automation Rules, Emails, etc. The pricing is based on number of subscribers and starts at $29/month. Parfait! full service email marketing includes a email specialist to guide you through every aspect of your email campaign. Your dedicated specialist will help you plan the campaign, optimize the email design, manage the mailing operation, and help you interpret "opens", "clicks", and "unsubscribe" results. VIT! self-service email marketing keeps your campaigns do-it-yourself simple. Ideal for smaller campaigns, VIT! provides self-service tools for managing your lists (including bounce and unsubscribe removal), choosing email templates, testing your emails, and sending them. Mail results and statistics are available for do-it-yourself analysis. Delivra http://www.delivra.com is an email marketing services provider, based in Indianapolis, that makes it possible for anyone to create, send and track e-newsletters, surveys and announcements with no technical skills required. Delivra offers easy-to-use email templates and personal support, as well as robust features for the savvy tech user. Contact for quote. Dotmailer http://www.dotmailer.co.uk An industry-leading provider of email marketing solutions. Follow us to receive a daily email marketing tip. Contact for quote. Drip.com www.drip.com Ecommerce CRM - ECRM - is built for more sales, not sales teams. Thousands of marketers are getting to know their customers better using our features. They’re graduating from typical email platforms or overhyped marketing automation tools and making more money with Drip. Ecircle http://www.ecircle.com we can supply you with tailor made, individual solutions to suit your digital direct marketing needs. From award winning lead generation campaigns to acquire new customers through to high quality email marketing campaigns for customer loyalty our premium products will enable you to not only achieve your online marketing targets but also to maximize your ROI. Contact for quote. Eloqua http://www.eloqua.com campaign execution, testing, performance measurement, prospect profiling, and lead nurturing - allowing marketers to drive revenue and do what they do best: develop strong brands, build creative campaigns, and deliver compelling content. Contact for demo and quote. There are no pricing charts available. Contact the company directly for price quotes. Email Broadcast http://www.emailbroadcast.com Email Broadcast is a full-service email marketing agency located in Seattle, Washington. We create world-class email marketing campaigns for a small but distinguished group of client's that believe email marketing is of strategic importance. We start with a well conceived overall strategy, mix in dazzling designs, and look for ways to use email marketing throughout our client's business processes. Contact for demo and quote. Email Marketing Pro http://www.emailmarketingprofessional.com Free Email Marketing Software Email Marketing Professional 2.0 is free email marketing software that allows you to create and send promotional emails in seconds. Seconds after installing, you will be able to send promotional ads, newsletters, coupons, and more. Software. Price starts at $0. EngageBay https://www.engagebay.com Choose from several ready-made email template or create your own. Personalize every part of the email and send them in a click. Track and analyze your results. Starts at $6.99 per month. ennect.com http://www.ennect.com Ennect Mail is web-based software that empowers you to send visually rich emails and analyze results. Free trials are available. Pricing starts at .05 per email, but bulk mailings can get reduced rates. Rates are also reduced for non-profits. eTrige http://www.etrigue.com eTrigue Intelligent Demand Generation helps you identify hot leads and close more sales faster. eTrigue creates, executes and tracks powerful multi-channel campaigns, email, and online activities with Real-Time Lead Alerts, automatic 3-D Lead Scoring/reporting, and search-based profiling without requiring dedicated staff or IT integration. Contact for quote. Ewaydirect http://www.ewaydirect.com Email solutions, customer-centric communities & eMarketing tools in an easy to use platform with all the analytics you could hope for. Contact for quote. Fire Engine Red http://fire-engine-red.com Fire Engine RED is a fast-growing educational technology company that provides customized Web-based software products and Student Search Packages to more than 300 educational institutions in the U.S. and abroad. Expensive. Contact for quote. Fishbowl Email Marketing http://www.fishbowl.com/solutions/engagement/local-store-marketing-email Fishbowl's leading email marketing solution is designed specifically for the restaurant industry. Our on-demand platform manages email lists, automates marketing activities, targets customer segments and provides analytical reporting. Contact for demo and quote. Flimp.net http://www.flimp.net Flimp® makes it easy and affordable to use Rich Media and Video for direct marketing, communications and sales with detailed viewer reporting and analytics. Create customized microsites and video landing pages for email marketing, communications, sales collateral, search marketing, and social media marketing without any programming or technical skills. Contact for pricing. Gammadyne Mailer http://www.gammadyne.com/mmail.htm Gammadyne Mailer is essential software for automating a business's email marketing. Without automation, email marketing is slow, tedious, and ineffective. Gammadyne Mailer solves all these problems by automating three key tasks. Software Priced at $115. GetResponse http://www.getresponse.com/features Give a face and a voice to your messages with video email marketing! GetResponse Multimedia Studio lets you record and store up to 100MB of audio and video files, right from your account. Deliver high-impact customer testimonials, product demos, and event videos - no added software or expense required! Monthly online service. Price starts at $0. GovDelivery http://www.govdelivery.com/products/digital-communication-management GovDelivery's Email & Digital Subscription Management (EDSM) is an automated system that uses email, wireless alerts or RSS to keep citizens informed when new information is available on topics of interest. Green wave email http://green-wave-email.com For maximum flexibility, we allow annual plans, aligned to the calendar year, as well as sending on an as-needed basis. Annual subscribers to Green Wave Email Marketing receive the extra benefits of community listing for business alliances and for promoting one's organization to the community at GWEM as well as our sister site, PlanetThoughts.org. Monthly online service. Starts at $35. Optional pay as you go. Starts at $8 / 1,000. Group Mail http://group-mail.com GroupMail; is considered one of the most advanced email marketing programs on the market today. Our GroupMetrics and GroupSurveys suites combine with GroupMail, to provide all the tools needed to create, manage, distribute and track your email marketing, customer/public relations and advertising campaigns. Software. Starts at $0. Guerrilla Mail http://www.guerrillamail.com This website provides you with disposable e-mail addresses which expire after 60 Minutes. You can read and reply to e-mails that are sent to the temporary e-mail address within the given time frame. Online email service. HubSpot Email Marketing ebook download here. HubSpot saves you the trouble of adding various tools into a pile and sticking them together with glue, rubber bands and coding. The integrated solution has evolved into a sophisticated software as a service which includes an email management system. This email marketing system is built within the Hubspot software and makes the process of putting together email campaigns not only simpler but also improves effectiveness with with analytics built into the system. HubSpot starts with a free 30 day trial. Highly recommended. HubSpot is my favorite because of its power, flexibility, personalization options. The email system is one piece of an all-in-one marketing solution. IContact http://icontact.com iContact was created to make email marketing easy. You now have the power to create permission-based email newsletters, surveys, and autoresponders with 98-99% deliverability. Monthly online service plan. Starts at $9.95. Discount for non-profits. Imnica Mail http://www.imnicamail.com With Imnica Mail you can manage every aspect of an email campaign, from building a list and creating personalised newsletters, to measuring campaign results and sending automated follow up emails. 30 day trial for $1. Starts free for up to 1,000 subscribers. Inbox Marketer http://www.inboxmarketer.com Inbox Marketer Inc. is an email publishing company that builds electronic communities and strengthens client relationships. We do this by continuously fine-tuning the email dialogue that takes place between our customers and their clients, using proven direct marketing and publishing techniques. Contact for quote. Informz http://www.informz.com/ Informz supports global clients from a diverse range of progressive industries, including Associations and Non-profits, Higher Education, Publishing, Travel & Tourism, and more. For each client, Informz assigns a personal eMarketing Advisor-an industry-focused expert who works directly with a select group of assigned clients. Specialists in Marketing and Strategic Communications, eMarketing Advisors not only understand industry needs but also value the specific challenges of each unique client. Informz looks to be focused on special types of non-profits and businesses. Free demo available. Price unknown. Interspire Email Marketer http://interspire.com/emailmarketer Our all-in-one email marketing software includes everything you need to create, send, track and profit from email marketing - but it doesn't stop there. It also includes powerful tools to completely automate your follow up marketing and customer feedback loops too: Annual online service plan. Starts at $495 /yr. InTouch http://www.eintouch.com/ Eintouch manages the whole process, and they commit to doing it very cost effectively. Custom looks, bi-directional communications, and social media integration. Also provides mobile marketing and social marketing. Contact for price and trial. Inxmail Professional http://www.inxmail.com/ Inxmail GmbH is known among marketers for its professional e-mail marketing solution, customer focus and dependability. Because our customers' and partners' success is the focus of all our activities. Request trial and quote. Jangomail http://www.jangomail.com/ JangoMail's unique marketing platform makes email delivery simple and customizable. In addition to standard mass email solutions, JangoMail's powerful email software provides a wealth of additional benefits. Our email campaign s oftware allows you to create an advanced custom email newsletter to keep in contact with your customers..Monthly online service plan. Starts at $30 plus $500 setup. Keybook http://www.keybook.com Keybook est un produit innovateur, avant-gardiste et qui promet des résultats instantanés. Keybook est aussi un outil qui permet aux entreprises de bâtir une stratégie de marketing relationnelle à long terme avec ses clients. Contact for quote. Knotice http://www.knotice.com/ Our on-demand software platform, ConcentriTM, is the first platform to unify the vital direct digital marketing functions you need to create profitable relationships with prospects and customers on your website, through email and over mobile. Contact for demo and quote. Lead Life http://www.leadlife.com LeadLife offers a complete lead management software solution along with tips on lead management best practices from our marketing automation experts. Contact for demo and quote. Lead Galaxy http://www.LeadGalaxy.com There are more than 100,000 records for Real Estate which you can send your mailshot through the Target Email System. Contact Mateus Rocha ateus@themovechannel.com for demo and quote. List Engage http://listengage.com/ Let ListEngage take care of your emarketing game-plan, because you have better things to do... like run your business. We improve the bottom line of your marketing initiatives by developing powerful e-marketing strategy, designing branded email content, developing drip automation campaigns, personalized URL's, landing pages and online web/social media campaigns. Contact to request a quote and trial. Listrak http://listrak.com Listrak is an integrated, self service email marketing solution that offers detailed management and analysis tools to companies seeking to simplify, synchronize, and capitalize on their online marketing endeavors. Contact for trial and quote. Listrocket http://listrocket.com/ Whether you're a novice, power-user or communications professional, ListRocket gives you the tools you need to communicate with your audience. You'll appreciate the intuitive, rich features available to help you manage your opt-in email lists, email blasts & social network syndication to Facebook, Twitter and many more! LISTSERV http://www.lsoft.com/products/listserv.asp LISTSERV is the original and industry standard email list management software. Continuously developed to meet the latest demands, LISTSERV provides everything you need to manage all of your opt-in email lists, including email newsletters, announcements, discussion groups and email communities. With the Maestro Add-On, LISTSERV becomes a complete opt-in email marketing and analytics solution. L-Soft's solutions are tailored to your individual needs. The pricing depends on the number of lists, number of subscribers and operating system of choice. Lyris List Manager http://www.lyris.com http://www.lyris.com/solutions/lyris-hq/email-marketing/ A faster, easier way to run your online marketing campaigns without the hassle of multiple vendors. Get email marketing, Web analytics, PPC bid management and landing-page creation ... all in one place. This lets you manage all the moving parts of your marketing campaign without losing sight of how well the campaign is performing as a whole. Contact for trial and quote. Mail 2 Web http://mail2web.com Check your POP or IMAP email on the web. Your info is private and no registration is required. This one is free. Just thought I would toss it in since it is such a great tool. Mail Chimp http://www.mailchimp.com "Featuring integrations with WordPress, Twitter, Salesforce and more, MailChimp is the list manager of choice for an impressive list of heavyweights including Mozilla, Intel, Canon, Fujitsu, Staples and more." Monthly online service plan. Starts at $0. Mail Dog http://MailDogManager.com Mail Dog makes creating, managing and tracking spectacular-looking email campaigns, online video marketing and corporate communications a snap for any business -- no software, hardware or geeks required. Mail Dog's friendly interface and 243 pro tools provide everything you'll need to create and manage permission marketing campaigns quickly and easily. Contact for quote. Mailer Lite https://www.mailerlite.com Alice Jonsson says "amongst newest in the field, easy-to-navigate, has a very nice design and low pricing. Outlining pros in features: Fastest API speed I have ever experienced, subscribers centric platform and easy for picture insertion." All plans include features like automation & landing pages, as well as unlimited emails & 24/7 customer support. Starts at $0. Majon International http://www.majon.com/safeannounce Welcome to Majon International! (Pronounced "May-john") If you have a web site business selling products and services...Then we can help you with internet marketing & web site advertising! We have helped thousands of companies to succeed on the web with our PROVEN successful internet marketing and online advertising services. This is an online email marketing service by campaign. Prices vary. Manticore Technology http://www.manticoretechnology.com Manticore Technology is an end-to-end marketing automation platform that enables companies to effectively manage the marketing funnel for predictable revenue growth. Contact for demo and pricing. Marketing Director http://www.arialsoftware.com/emailmarketingdirector.htm Email Marketing Director takes over ten years of proven, bulletproof email automation technology found in our higher-priced products and puts it in a streamlined, astoundingly easy to use software product that allows anyone to create and deliver personalized email marketing campaigns. Software. Priced at $495 plus $149 annual support plan. Marketo http://www.marketo.com Marketo provides uncompromising software solutions that help marketing and sales teams to collaborate at every stage of a revenue cycle from the earliest stages of demand generation and lead management to the pursuit of revenue and customer loyalty. Contact for demo / trial and quote. Mass Mail Software http://www.massmailsoftware.com Do you want to promote your online business, engage new customers, increase your profits. Are you looking for bulk email software to send email newsletters or other email marketing, Bluetooth or SMS messaging utilities to improve the quality of your business? Software. Visit site for prices. Maxmail www.maxmailhq.com, Maxmail is an easy to use email marketing service for permission based email, Opt-in, HTML EMAIL newsletters, mailing list management, newsletter personalisation, bulk email and tracking of your marketing communication. Monthly online service plan. Starts at $95 plus $750 setup. Microsoft Outlook http://office.microsoft.com/en-us/outlook Microsoft Office Outlook 2007 provides you with a comprehensive time and information manager. Software. Prices vary. Moosend https://moosend.com Moosend is a marketing automations and email marketing tool that helps brands create and nurture client relationships. From fledgling startups to Fortune 500 companies, thousands of businesses around the globe use Moosend to engage their email subscribers and grow their businesses. Effortless and flawless email design, user-friendly list management, state-of-the-art automation, and reliable analytics, brought to businesses by Moosend. Nuture Institute http://nurtureinstitute.com/dimensional_e-mail.aspx Dimensional e-Mail is an exclusive annual program designed to get you quality leads NOW while following Nurture Methodology to build long-term, nurturing relationships with your prospects and customers over time. Contact for quote. Oempro http://octeth.com/oempro/ Unlimited subscriber lists Unlimited campaigns Follow-up auto responders User privileges and limits Email Personalization Open reports Link click reports Forward-to-friend reports Unsubscription reports and more. Software. Price starts at $245. Open Moves http://openmoves.com If you need to attract new and existing customers, create an email campaign, maximize your conversion, improve your search results, or overhaul your Web site, or create interactive 3D web pages, the OpenMoves team can help. We use our technology, business, marketing, creative, and programming skills to create solutions tailored to your business. Contact for demo and quote. Optivo http://www.optivo.com Founded in 2001, optivo is synonymous for top performance in direct marketing via email – and as a genuine multi-channel provider, via SMS and fax too. Free demo available. Contact for quote. PHPKODE http://www.phpnewsletter.org is a web-based newsletter software and email marketing software used to start your email marketing campaigns and help you keep constant contact with subscribers. Starts at $9.95 per year. phpList http://phplist.com phplist is a one-way email announcement delivery system. It is great for newsletters, publicity lists, notifications, and many other uses. (It is different from group mailing list systems like mailman.) # The Web Interface lets you write and send messages, and manage phplist over the internet. Software. Price starts at $0. Pinpointe http://pinpointe.com Pinpointe's on-demand email marketing system empowers B2B marketers to target and personalize their communications based on prospects behavior, interests and characteristics. Pinpointe helps marketers nurture and deliver more quality opportunities to the sales team and analyze results with reduced marketing effort. Monthly online service plan. Starts at $59. Pay as you go option and added services available. PoliteMail http://politemail.com New PoliteMail 2.0 for Outlook With PoliteMail email marketing software for Microsoft Outlook, you will create, send and track personalized messages to lists just as-if you sent to each individual person, right from Outlook. Software. Software combined with pay as you go service. Starts at $99 + a $.01 an email. Posta Nova http://posta-nova.fr Le Marketing direct par mail est l'un des moyens les plus efficaces et les plus économiques pour conquérir et fidéliser vos clients. Avec Posta-Nova, vous créez, configurez et envoyez en toute autonomie des newsletters, invitations, communiqués de presse, etc. Promotions Manager from Melbourne IT http://www.melbourneit.com.au/cc/website-marketing/email-promotions Easily send great looking campaigns. WebCentral's Promotions Manager email marketing tool is an easy way to send professional emails to your customers, members or clients, track the results, and manage your subscribers. Contact for quote. Pure360 http://www.pure360.com We provide Email Marketing Solutions. Simple. No faff or fuss, you need to improve your email marketing campaigns and we will provide you the tools and expert advice to do so. Monthly online service plan. Starts at $49 Euro plus a set up fee. Real Magnet MagnetMail http://www.realmagnet.com/ MagnetMail makes it easy to design emails, manage contacts, track results and do everything in between. Take advantage of its leading deliverability, 24/7 support and advanced features like Dynamic Content, deliverability testing, integrated text, RSS, and fax messaging, and more. Contact for demo and quote. ReturnPath http://www.returnpath.net/ Return Path helps you test, tweak and track every campaign, so your emails not only make it to the inbox today but are welcome there tomorrow. Contact for info and quote. SalesForce http://www.salesforce.com/ With Salesforce CRM software as a service and our Force.com cloud computing platform, you can mind your customers and your budget at the same time (very important in today's economy). Get up and running in 30 days with the world's most proven and loved CRM solution. Starts at $5 per user. Salesfusion http://salesfusion.com/ Campaigns are the cornerstone of SalesFUSION. SalesFUSION offers a wizard driven approach to campaign creation and management and incorporates a step-by-step methodology to enable easy and straightforward campaign creation. Contact for quote. Siebel by Oracle http://www.oracle.com/us/products/applications/siebel/index.htm The world's most complete customer relationship management (CRM) solution, Oracle's Siebel CRM helps organizations differentiate their businesses to achieve maximum top-and bottom-line growth. It delivers a combination of transactional, analytical, and engagement features to manage all customer-facing operations. With solutions tailored to more than 20 industries, Siebel CRM delivers. SignUp.to http://www.sign-up.to Not recommended. They claim to help you build great relationships with your customers using email marketing, mobile marketing and social media. Tools, services and award-winning support to make your marketing shine Monthly online service plan. Starts at $40 euro. Silverpop Engage B2B http://www.silverpop.com/marketing-products/engage-email/ Score your leads, nurture them and convert them to customers-automatically. Silverpop Engage B2B (formerly Vtrenz) is the leading on-demand marketing automation solution for B2B marketers. It helps you make more strategic decisions and demonstrate marketing ROI with reporting and analytics that follow your leads from first click to revenue won. Contact for demo and quote. SpinnakerPro http://spinnakerpro.com SpinnakerPro is an award-winning email marketing platform that is secure, affordable, easy to use and has the best delivery rates in the industry. Marketing professionals can build stylish email campaigns in minutes that deliver an immediate and massive impact on sales conversions. Monthly online service plan. Starts at $0. Free for Non-Profits. Pay as you go option starts at $.015 / email. Stoneshot http://www.stoneshot.com/aboutus.asp StoneShot provides an online email marketing tool that's blissfully easy to use. We back this with our agency services covering strategy, project management, creative, production and data mining. In short, all you need to maximise this exciting channel. Contact for quote. Strongview http://Strongview.com StrongViewl enables businesses to reach, engage and influence their target audience. "We can help you improve your email marketing campaign performance, boost deliverability and lower costs, while extending your reach to new audiences using social media." Contact for quote. Subscribermail http://www.subscribermail.com/ SubscriberMail's ENTERPRISE Email Solutions SM:Enterprise provides complete email marketing control and flexibility in complex channel, reseller and shared environments. As a premier email marketing service provider, SubscriberMail analyzes thousands of emails every year. We've developed a thorough understanding of what works - and what doesn't - with email marketing. Contact for demo and quote. Sugarcrm http://sugarcrm.com SugarCRM is the world's leading provider of open source customer relationship management (CRM) software. Annual online service software. Starts at $360 / annual. Template Zone http://templatezone.com/email-marketing-templates.php Send your customers & prospects a professional-looking emails using agency-quality HTML email marketing templates. High Impact eMail makes it easy to create great-looking email starting with thousands of pre-designed HTML email marketing templates that you customize with your company's logo, colors, photos & more. Send email newsletters, advertisements, announcements, invitations, greetings, postcards, memos, catalogs & price lists that convey a more professional image. Contact for free trial and price. Trumpia http://trumpia.com/ Trumpia goes far beyond traditional email and mobile marketing with its unique patented technology that empowers you with the latest in communications, online publishing, and social media. For the same price other companies charge for email marketing alone, with Trumpia you can stay in constant contact with your opt-in audience via any or all modes of communication with just one click. Monthly online service plan. Starts at $10. Pay as you go option available. Unica http://www.unica.com/solutions/email-marketing-solution.htm Unica's Email Marketing solutions offer the "best of both worlds." Email marketers can create, preview and test email and mobile campaigns, while Unica handles delivery and deliverability through its on-demand operations. Contact for information and quote. IBM bought Unica. Vertical Response http://verticalresponse.com Thousands of small businesses and non-profit organizations depend on VerticalResponse to send their email marketing campaigns. Whether you're sending an email newsletter to a dozen loyal fans or an email marketing promotion to 10,000, we simplify your marketing so you can conquer the ten million other things on your to-do list. That's why we're one of the largest, fastest growing and trusted email marketing providers around. Monthly online service plan. Starts at $10. Pay as you go option. Starts at $.015 / email. Non-profit - Starts at free. WhatCounts http://www.whatcounts.com/solutions/asp.html Get your email out fast with low overhead. The WhatCounts ASP/SaaS allows you to quickly design, deploy, analyze, manage and archive each campaign. Innovative features support you from list development to archiving, Blogs to RSS. For sophisticated organizations, our clear and comprehensive APIs make it easy to integrate with existing CRM and CMS solutions: Contact for demo and quote. Yesmail http://www.yesmail.com/ Built on a solid core of innovative technology and strategic services, Yesmail boasts a complete portfolio in emarketing solutions and tools, including direct marketing applications, data management, data intelligence, lead generation and email lists, interactive applications and best practices consulting. Contact for demo and quote. Your Mailing List Provider http://www.yourmailinglistprovider.com This simple email provider is straight forward and inexpensive. Worth a look. Starts at $0. YouSendIt http://www.yousendit.com/ Send, receive & track files up to 2GB Got files? See how to make sending, receiving and tracking them securely a matter of ease. Online service. Starts at $0. Zetainteractive http://zetainteractive.com As a leading provider of integrated interactive services, Zeta Interactive helps today's marketers realize the full potential of the Internet to build brands, increase sales, improve processes, and reduce costs. Contact for demo and quote. Zimbra http://zimbra.com is open source server software for email and collaboration - email, group calendar, contacts, instant messaging, file storage and web document management. The Zimbra email and calendar server is available for Linux, Mac OS X and virtualization platforms. Zimbra syncs to smartphones (iPhone, BlackBerry) and desktop clients like Outlook and Thunderbird. Zimbra also features archiving and discovery for compliance. Zimbra can be deployed on-premises or as a hosted email solution. Software. Starts at $0. Now your head is hurting. This is a perfect example of how "more" is not necessarily better. If it does not cause you to pause before buying, then you have nerves of steel. There are too many choices, too much to research, and so many websites are missing a "buy button". On the other hand, you don't need to search anymore. If there are more email marketing services than this list shows, you have my apology. Let me know so I can add it to the list.